Additionally to the incident reporting capabilities within SAP Hybris Cloud for Customer it’s possible to enable logging within the C4C extended edition apps and export those logs via email. This might be helpful in case incident / support ticket was created on behalf of the end-user but SAP support requires log information from the end-user’s device. 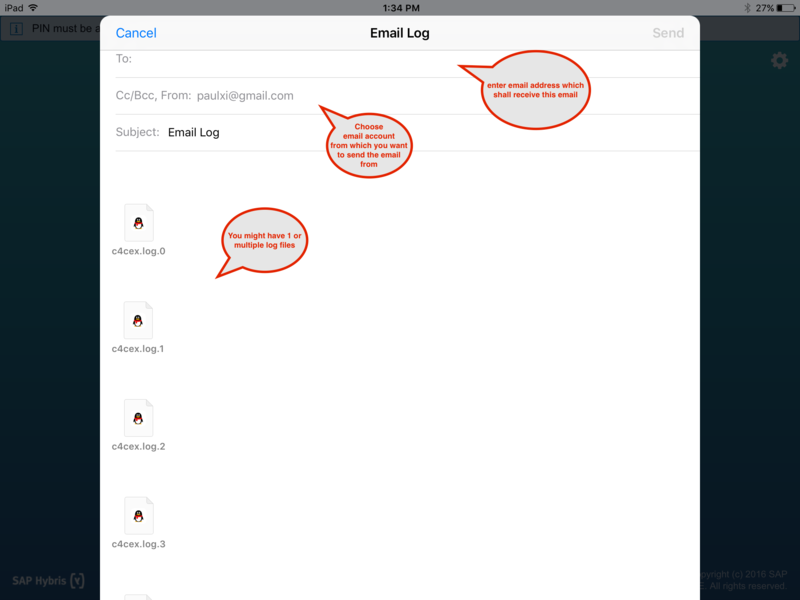 After testing you can send out email with logs to any email address you like. 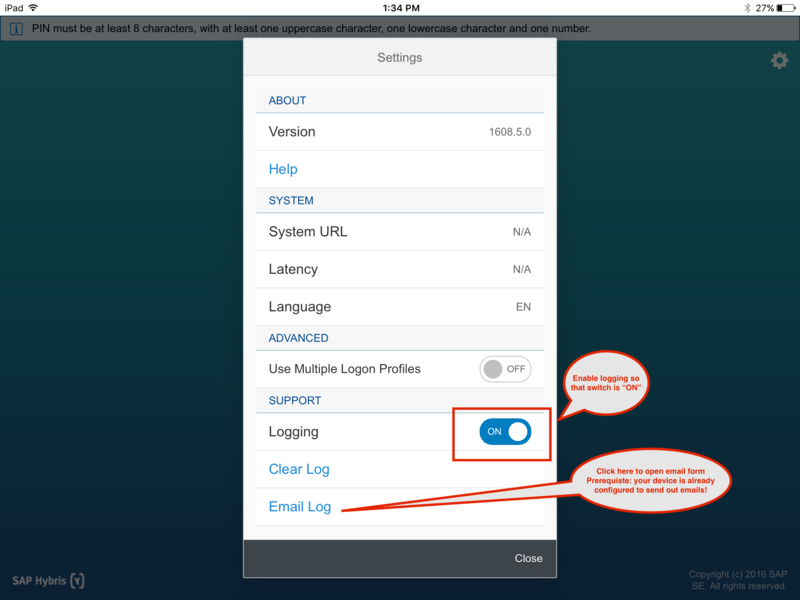 Therefore press the “Email Log” option on the settings view. An email form will open. If it doesn’t then it probably means you have not configured your device to send out emails (= you have not entered your email account credentials in mobile device settings itself). P.S. 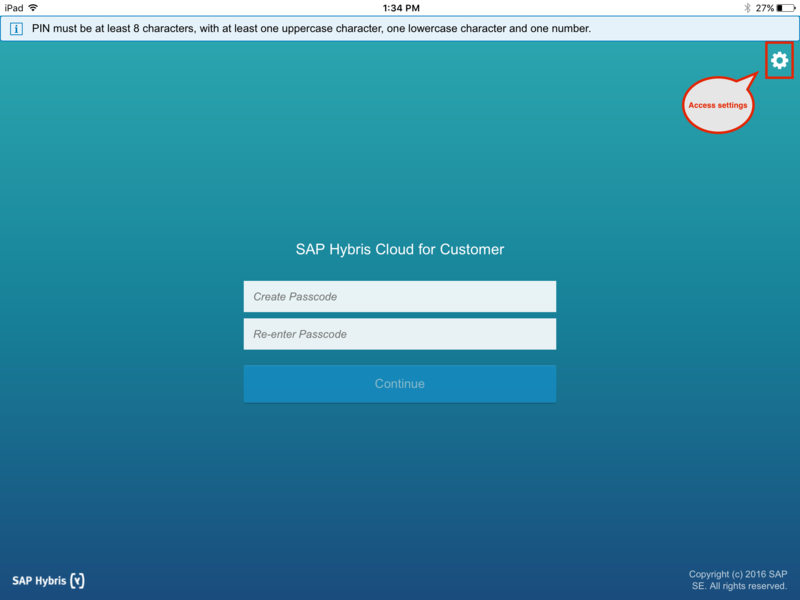 : It’s recommended that end-users make use of incident reporting capabilities within SAP Hybris Cloud for Customer.